Originally published in the New Statesman. The police procedural is hardly the most cutting edge televisual format, burdened as it is by generic clichés and tired characters. But every now and then, one comes along attempting to do something new with an old format – fromLife on Mars to Happy Valley. The latest effort is BBC Three’sNew Blood. 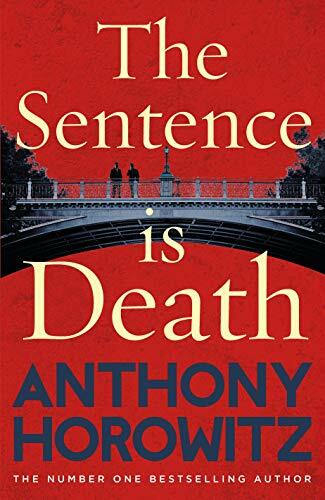 Created by Anthony Horowitz, it follows two (extremely handsome) junior investigators, both second-generation immigrants in their early twenties living in London: Arash Sayyad (Ben Tavassoli), working for the Met, and Stefan Kowolski (Mark Strepan), who works for the Serious Fraud Office. On the surface, there is nothing revolutionary about this programme – it has all the usual hallmarks of its genre. Stefan and Rash dislike each other at first, but find circumstance thrusts them together on numerous unlikely occasions – who woulda thunk these two oddballs would become partners in crime prevention!!! Both have older bosses who raise exasperated eyebrows at their unconventional but often effective methods. Each work on cases at first, seemingly unrelated to one another, but each time slowly are revealed to be intertwined. “I know how hard it is for young professionals in London,” the villain in question purrs. “House prices are ridiculous.” And as further cases have unfolded, including last night’s finale, this streak has only become more extreme. Some of the series most significant events are motivated by people hoping to preserve the value of their luxurious central properties; Rash’s sister gives him the details of a potential room in Wandsworth as a kind of present; Stefan and Rash are thrown together by their shared desperate need to find somewhere affordable to live. One of the highest-octane moments of the series’s final episode involves an action montage of the pair running across London after a traumatic car accident to make their scheduled time for a flat viewing. It’s almost laughable. The result is an overly earnest but surprisingly accurate portrait of a certain kind of young professional in London – the only thing that stopped me laughing at the constant overwrought references the housing crisis was thinking of how much of my own brain-space is dedicated to thinking about rent, and how much I talk about it as a result. It also means the show has a refreshing take on villains – there are no stereotypical lone-wolf terrorists or crazed spurned women here. Instead, Stefan and Rash repeatedly attempt to arrest the uber-rich and powerful: criminals who can hide behind facades of legitimacy and wealth. The show’s very premise – the Serious Fraud Office and the police teaming up to form a heroic young double act – rests on the idea that the city’s greatest injustices are made by corporations and corrupt governments hoping to fleece the ordinary individuals that live there. Many reviewers have criticised the show for being too on-the-nose in its urban criticisms, but for me that’s where the hilarity and the joy of this show lies. Where else could the line, “You wouldn’t want that, any more than you would want to lose this flat” be delivered with such delicious venom? Next story: The Official Anthony Horowitz Facebook page is live!